Hearing aids are like any other piece of technology. Similar to your TV or computer, they can stop working. In fact, it’s often best to think of a hearing aid as a tiny computer. Particularly when you consider just how much tech is often included in devices like this these days. If your hearing aid stops working as it should, you might not be aware of the reason. That’s why you should get in touch with an audiologist and arrange a hearing aid repair. So, what happens at this particular appointment? Well first, you need to make sure that you book a repair. You should choose to get an appointment with an audiologist for this. An audiologist is an expert. As such, they will be aware of the most common issues with devices and know how to fix them. They will also have the spare parts and expertise necessary to complete repairs quickly and effectively. If you don’t use an audiologist you could be waiting a long time for your hearing aids to be fixed. Usually, an audiologist will book you a slot for one hour. This does not mean that the repair will be completed in an hour. It all depends on the issue. It’s possible that there is only a minor fault with the device. If that’s the case, you might find that the repair can be completed in minutes. Alternatively, it’s quite possible that you have a serious issue and that could take the full hour. Or, you might find that the hearing aid cannot even be fixed with the tools the audiologist has. In this case, the hearing aids will need to be sent to the manufacturer. This may involve two to three weeks of repair time. Rest assured though, an audiologist will fix your device as quickly as possible. What will the audiologist do? First, they will look at your device and ask you what the issue is. This could be a problem switching the device on or that you can hear a buzzing when using the device. It doesn’t actually matter what the problem is, the audiologist will just be troubleshooting, ensuring that your hearing aids are actually in need of a repair. Like any other piece of tech, it’s possible that this is just a technical issue. An audiologist won’t charge you for a repair if it’s not necessary. 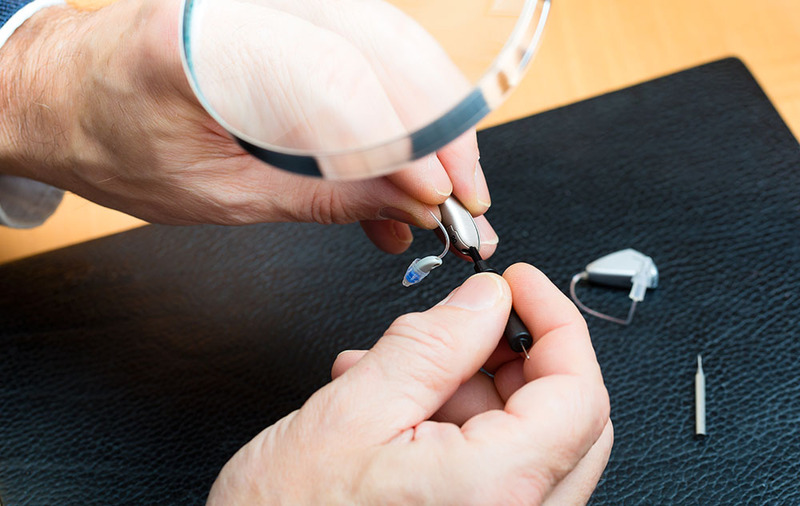 If you do need a repair for your hearing aids, you will be asked to provide insurance information. Insurance information will ensure that you can get the repair that you need for the price that you should be paying.